Dan anchored for Nightline to start of the week of July 21st. This episode began with a story about a restaurant that’s theme is not something you see everyday. 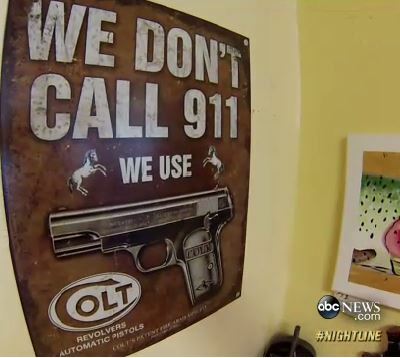 Nightline takes you to Rifle, Colorado, to a restaurant called “Shooters Grill” where almost all the staff carries guns. They say it makes them safer and is good for business. The owners say when they opened their restaurant a year ago in their home town of Rifle, the gun theme seemed natural but of course where there are guns, there is controversy and not everyone is thrilled about this trend. The next story takes a look into a huge craze going on in the US – house flipping. 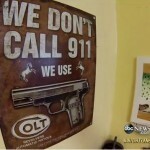 There are multiple reality shows devoted to the undertaking and people all over the country seem to be trying it out. But as the consumer, how can you be sure these amateur house flippers are selling properties that are up to par? Nightline gives you some insider tips. Finally, we meet a man who was supposed to be on both MH 17 and MH 370, but changed his plans last-minute. How did he get so lucky? Watch the full episode here.